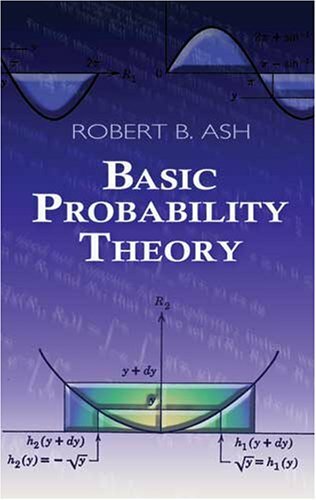 This introductory text surveys random variables, conditional probability and expectation, characteristic functions, infinite sequences of random variables, Markov chains, and an introduction to statistics. Geared toward advanced undergraduates and graduate students. The text does not require measure theory, but underlying measure-theoretic ideas are sketched. Contents: Some theoretical background; Exponential Distribution; The Normal Distribution; Central Limit Theorem; Maxwell distribution; Gamma distribution; Normal distribution and Gamma distribution; Convergence in distribution; 2 distribution; etc.